Opinion: Bumper Sticker Musings: is America better off since 2007? Ryan’s Project, begun in January 2011, was established by Doug and Bonnie Robinson in memory of their youngest son, Sgt. Ryan Robinson. The former Marine passed away on September 1st, 2008 as a result of injuries received in combat in Iraq in 2006. He was only 29 years old. Ryan was a hero in Iraq, and at home; his loss devastated both family and his friends. The mission of our organization was to fulfill Ryan’s dream: assist wounded or disabled veterans of the Marine Corps to attend the annual birthday ball, a tradition rooted in camaraderie and brotherhood. The birthday ball is a tradition for Marines. Ryan is gone, but in his memory, we fulfilled his vision by sponsoring and coordinating the attendance of wounded North Texas Marines to Marine Corps birthday ball events every year. With the help of local Marine Corps charities and active units, generous sponsors from private citizens to corporations such as Ad Valorem and Beverly Sue Global Solutions, the organization provided the admission fees, transportation, escorts and custom uniform tailoring for dozens of wounded Marines. 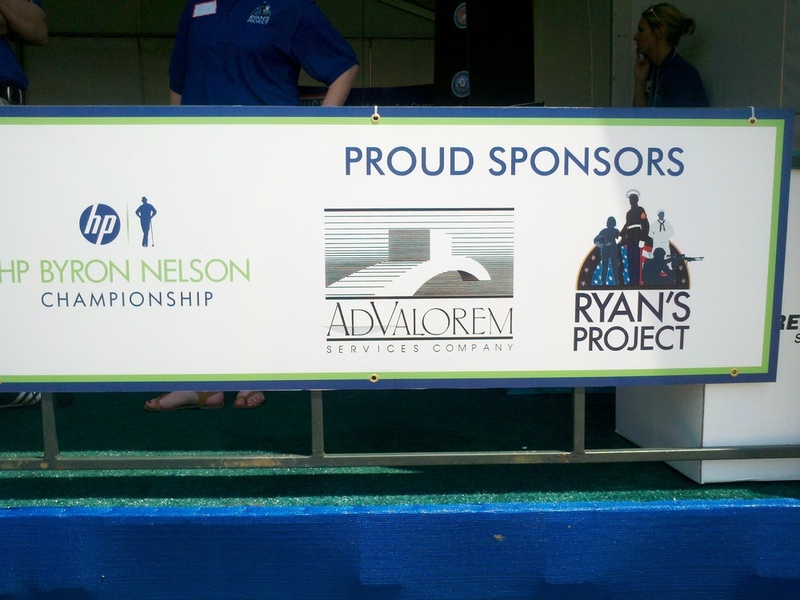 The Ryan’s Project 30-second spot below was produced for the 2011 HP Byron Nelson Championship. Thank you to the extremely talented film-maker Nick Utter and performer Eric Boggs. Special thank you to Amber Sutphin and Tiffany McGlothlin. Recognized by the City of Keller for our efforts, honored with June 19 as officially celebrated “Ryan’s Project Day”.